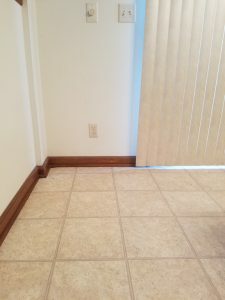 With no pets living here now, it wasn’t necessary to leave everything in the corner for occasional visits; but putting it all away seemed like a sad empty-nest moment, so that never got done. 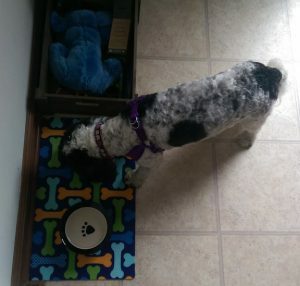 Finally, while I was putting away some flip-flops that had been left next to the kitchen door during the warm weather, I couldn’t avoid the fact that the dog items needed to go down to the basement too. I suppose I’ll get used to seeing the empty corner, and both daughter and dog will be here for a visit at Thanksgiving; but for now it looks awfully bare.